Between two and three out of every 1,000 children in the U.S. is born with detectable hearing loss. Approximately 15 percent of adults in the U.S. (that’s 37.5 million people) over the age of 18 also experience hearing loss. If you’re suffering from hearing loss, it’s best to start wearing hearing aids as soon as possible. This will help you get used to them and will make the transition period much easier. When it comes to shopping for hearing aids, there are tons of different options to choose from. 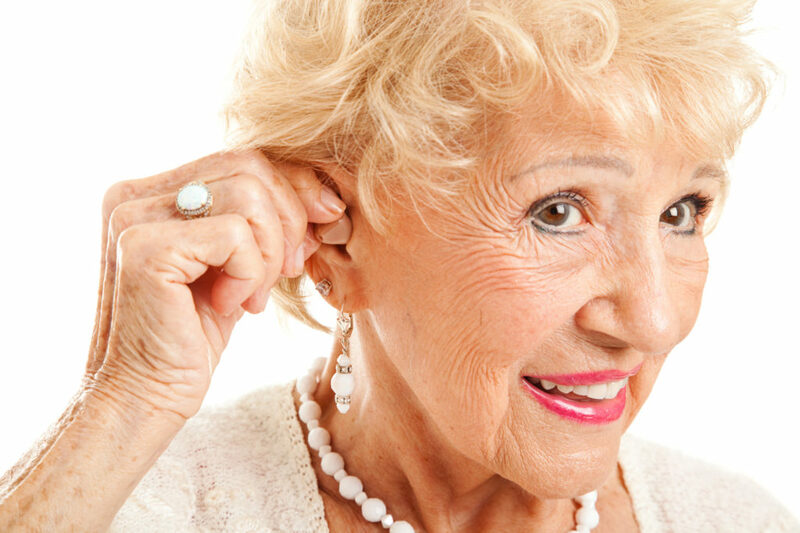 Two of the most popular options are in ear hearing aids and behind-the-ear hearing aids. Read on for some helpful information about the differences between these two popular types of hearing aids. As the name suggests, these hearing aids are worn in the ear. These aids are usually meant for people who suffer from mild-to-moderate levels of hearing loss. These types of hearing aids vary in size. Some are larger and more visible, but there are other styles that are very small and discrete. There are a lot of benefits that come with wearing in ear hearing aids. These hearing aids are easy to use and clean and care for, so they’re great for people who prefer a low-maintenance hearing solution. They don’t provide a lot of feedback, either, so they’re great for using while talking on the phone. Because of their small size, hearing aids worn in the ear are very comfortable. Many people forget they’re even wearing them, especially when they use highly discrete styles like in-the-canal hearing aids or completely-in-canal hearing aids. In ear hearing aids have a larger battery than other types of hearing aids. This means their battery life lasts longer and they don’t need to be charged as often. Again, this makes them perfect for low-maintenance folks. They often come with additional features, too. For example, traditional hearing aids worn in the ear may have an easy-to-use volume control feature, which is something smaller styles can’t accommodate. Some types of in ear hearing aids are more visible than others. If you wear a traditional in ear hearing aid, it will be highly visible. You can rectify this issue, though, by wearing an in-the-canal or completely-in-canal hearing aid instead. Some people find that these hearing aids are more prone to getting clogged with ear wax, too. Because of this, you’ll need to clean them on a regular basis if you choose to wear this type of hearing aid. Luckily, they’re easier to clean and handle than other styles since they can be a bit larger. Behind-the-ear hearing aids hook over the top of the ear and connect — you guessed it — at the back of the ear. These used to be the largest type of hearing aid, but they’ve become more discrete over time. Behind-the-ear hearing aids work well for any type of hearing loss. Behind-the-ear hearing aids are highly durable, even more so than in ear hearing aids. Some hearing aids are highly prone to breakage, especially if you drop them. That’s not the case with behind-the-ear styles, though. They’re larger and easy to clean, too, so they’re another good option for low-maintenance folks. Because of the way behind-the-ear hearing aids are designed, you don’t have to worry about ear wax blockages or moisture issues. As long as you clean them on a regular basis, you shouldn’t have any difficulty with them. Behind-the-ear hearing aids have a very large battery, too, and they provide the longest battery life of any other type of hearing aid. They provide the greatest amount of power as well. This makes them ideal for those who are suffering from severe hearing loss. The main drawback to behind-the-ear hearing aids is the fact that they are more visible than other types of hearing aids. If this is a turn-off for you, there’s good news, though. You can also buy mini behind-the-ear hearing aids. These hearing aids are smaller than the original behind-the-ear hearing aid, so they’re much more discrete. Mini behind-the-ear hearing aids also leave part of the ear canal open. This, in turn, allows for more natural sound quality. As you can see, there are pros and cons to both in ear hearing aids and behind-the-ear hearing aids. How can you determine which type is right for you? How Severe is My Hearing Loss? First things first, you need to think about the degree of hearing loss you’re experiencing. If you’re suffering from severe hearing loss, a heavy duty behind-the-ear hearing aid may be the best choice. If your hearing loss is milder, you might do better with an in ear hearing aid. How Visible Do I Want My Hearing Aids? For some people, visibility is a huge issue. If you want discrete hearing aids, look for a smaller in ear hearing aid (such as an in-the-canal hearing aid). Mini behind-the-ear hearing aids can be more discrete, too, especially if you need the extra battery power that a behind-the-ear hearing aid provides. How Often Do I Want to Change the Battery? In ear hearing aids and behind-the-ear hearing aids both have long battery lives. Behind-the-ear hearing aids have the longest battery life, though. The battery can last anywhere from nine to 20 days. If you want to be able to put off changing your batteries for as long as possible, these are the best hearing aids for you. Be sure to consider your budget, too. Hearing aids aren’t exactly cheap. If you’re on a budget, behind-the-ear hearing aids are going to be the more cost-effective option. Remember that adding extra features will make your hearing aids more expensive, no matter which type you purchase. Both in ear and behind-the-ear hearing aids are low-maintenance options. Behind-the-ear hearing aids are the easiest to clean, though. They’re also less likely to become clogged with ear wax, so they’re the best choice if you want to keep your hearing aids ss clean as possible. Need Help Finding the Right Hearing Aids? There’s no one-size-fits-all approach when it comes to choosing hearing aids. Now that you have more information at your fingertips, though, do you know which one will work better for you? In ear hearing aids or behind-the-ear? Do you want to learn more about different types of hearing aids? Or, do you need help saving money on hearing aids? Whatever information you need, you’ll find it on the Resources page of our website. Check it out today!